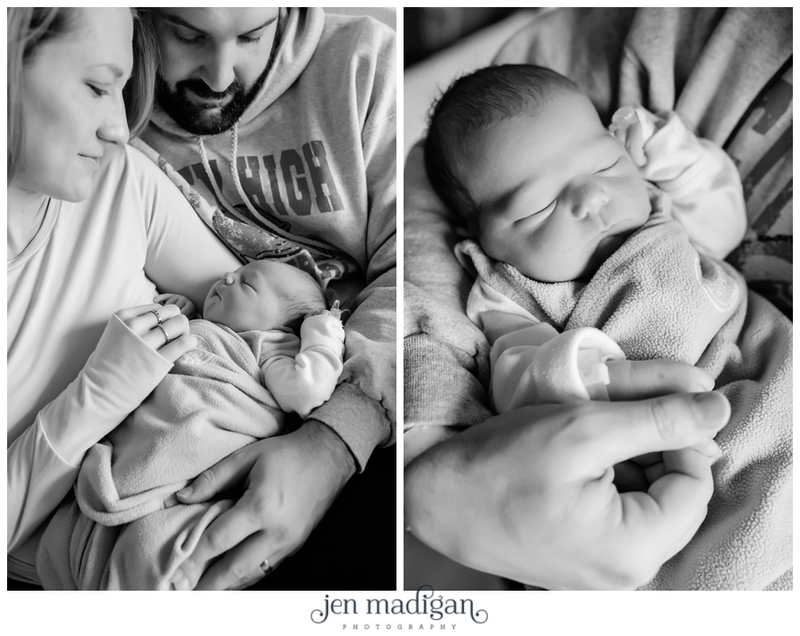 Shelby and Joe, along with their big brother Colin, welcomed this gorgeous little peanut on February 7th. 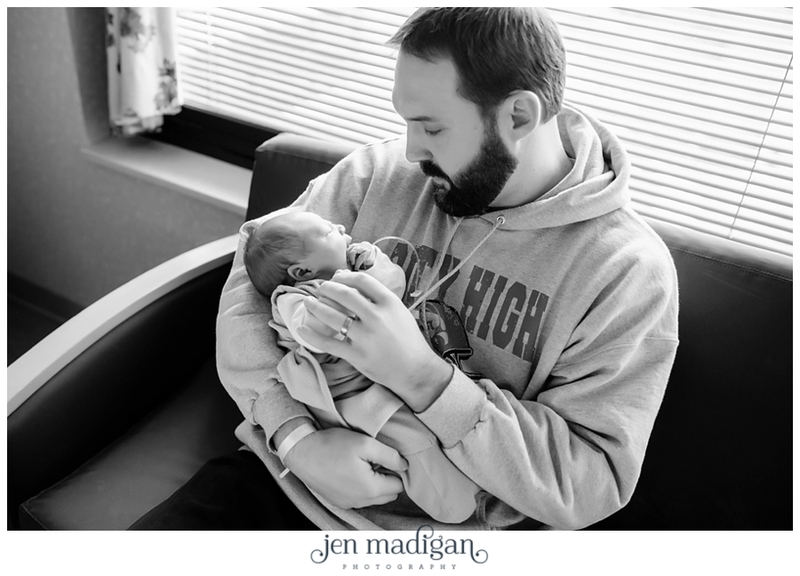 Shelby had inquired about whether or not I would be willing to come and get some hospital photos a day after the birth, as newborns change so fast and she wanted to document this time. 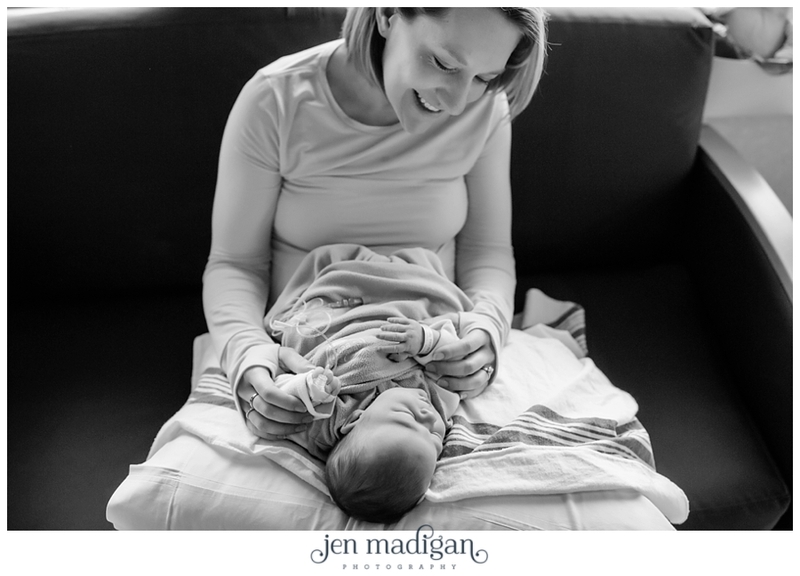 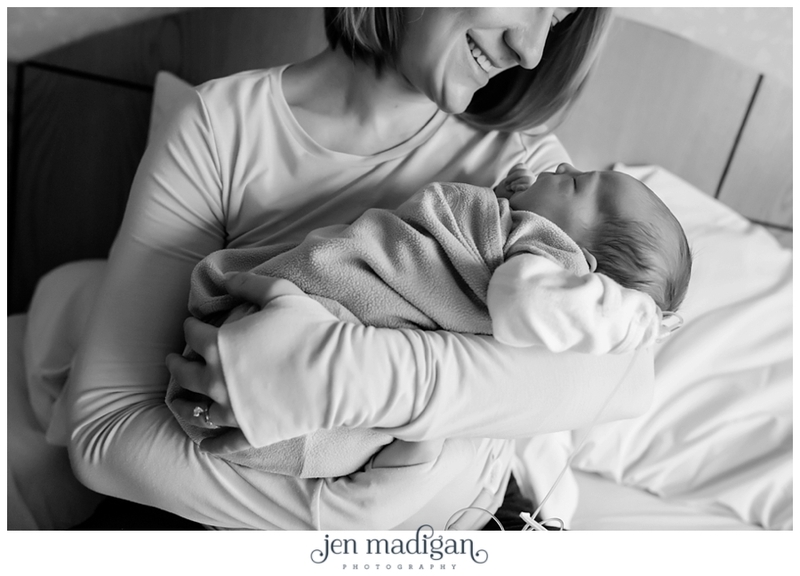 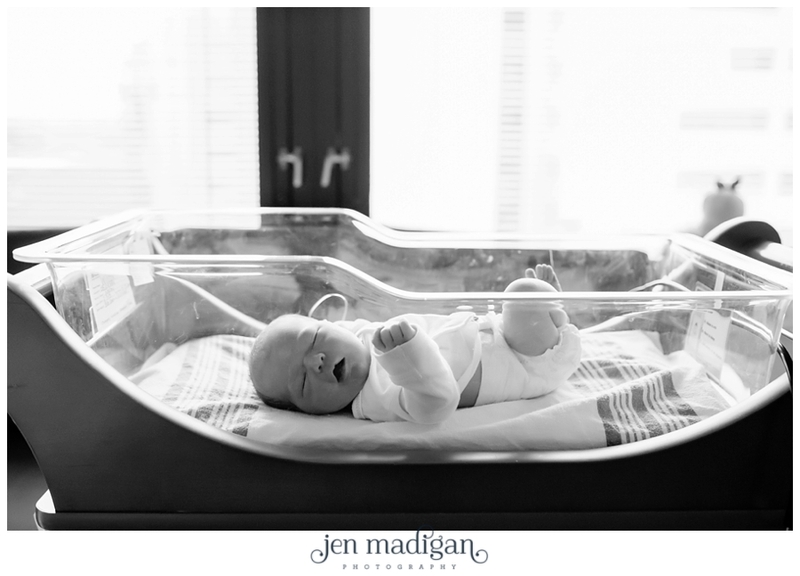 I just loved the idea, and so the day after Sloane was born, I stopped in and did a quick session, as a precursor to their regular newborn session (coming soon on the blog as well!). 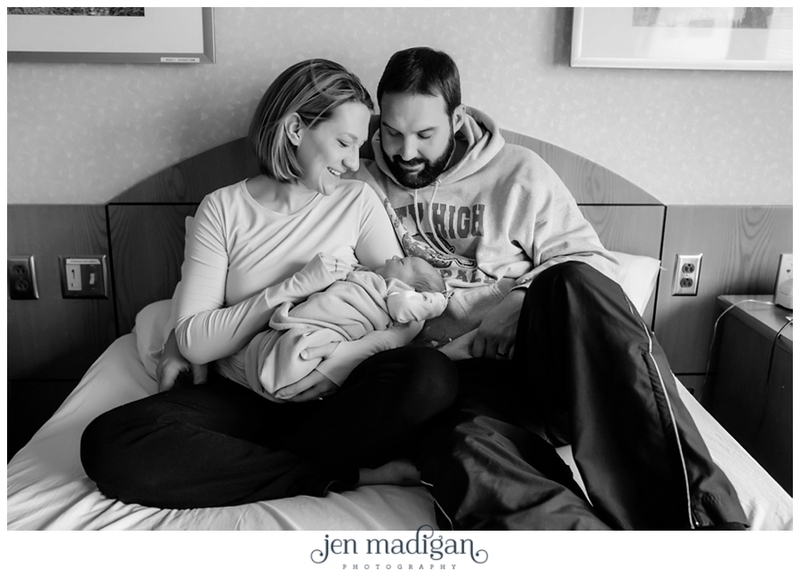 If you love this idea as well, I'm happy to substitute a hospital session for a maternity session when you purchase the Belly to Baby package!